Which Countries Do Not Use the Euro? Ever since the introduction of the euro, travel within Europe has been significantly easier for both Europeans and visitors from abroad. Whether you’re in Portugal, Finland, or almost anywhere in between, the euro will be all you need. But what about the European countries that do not use the euro? Some of them aren’t EU members and have no intention of joining, others are looking to join the EU in the future, some are EU members but not eurozone members yet, while others are EU members but don’t have any real intention of adopting the euro. 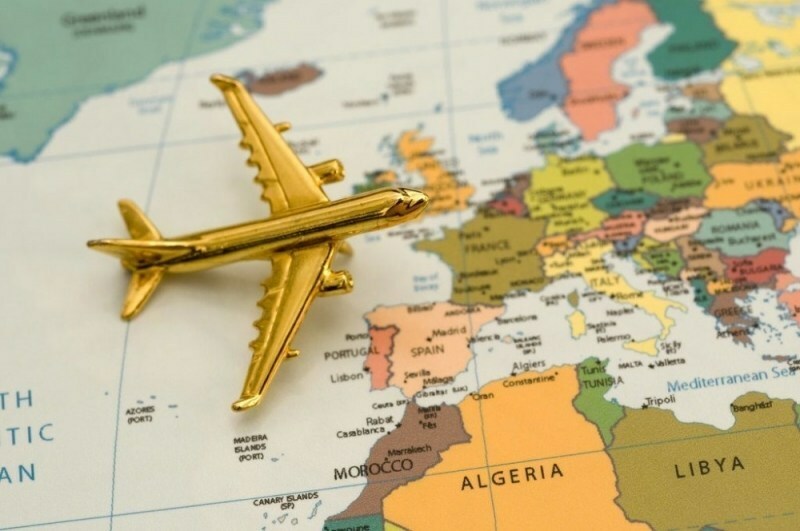 Planning a European adventure with different currencies can be confusing, by we’ll break down what countries you need to be extra prepared for. There are 25 countries that use that euro as their official currency. This includes the 19 members of the eurozone: Austria, Belgium, Cyprus, Estonia, Finland, France, Germany, Greece, Ireland, Italy, Latvia, Lithuania, Luxembourg, Malta, the Netherlands, Portugal, Slovakia, Slovenia, and Spain. There are also 4 countries that have joined a monetary agreement with the EU but are not a part of it: Andorra, Monaco, San Marino, and Vatican City. Lastly, 2 countries have adopted the euro unilaterally (without permission from the EU): Kosovo and Montenegro. In addition, other countries around the world will often accept euros (and other major currencies), so be sure to do some research no matter where you’re heading. 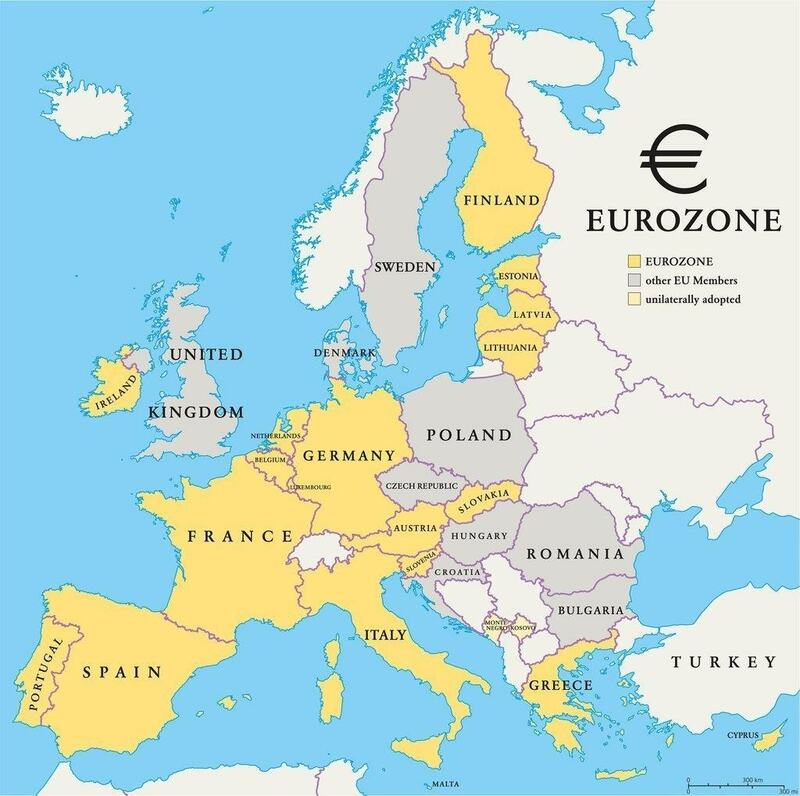 These are the European countries that are not part of the EU and also do not use the euro: Albania, Armenia, Azerbaijan, Belarus, Bosnia and Herzegovina, Georgia, Iceland, Kazakhstan, Liechtenstein, Macedonia, Moldova, Norway, Russia, Serbia, Switzerland, Turkey, and Ukraine. Geographically speaking, most of these countries are on the edge of the eurozone. However, there are a few that either reside right in the middle or on the way to eurozone countries. Most prominently amongst these is Switzerland – which uses the Swiss franc. Lying smack dab in the middle of countries that use the euro, this can put an added wrinkle in your trip if you’re coming into the country from Italy, France, or Germany. In addition if you plan on heading to Europe by way of Iceland, you’ll have to exchange for the Icelandic króna. Some of these countries are actively looking to join the EU. Albania, Macedonia, Montenegro, Serbia, and Turkey are all candidates (with Turkey on the list since 1987). Meanwhile Bosnia and Herzegovina as well as Kosovo are considered potential candidates though there is a ways to go before negotiations can actually begin. Other countries – read: Russia – are not likely to join the EU anytime soon (or ever). These are some of the most important countries to remember when traveling throughout Europe. You might be able to enter them easily, but you’ll find quickly that the euro won’t help you much. Some of these countries are in the immediate proximity of eurozone countries, so (like Switzerland), travel to these requires a bit of extra planning. There are nine total countries that fall under this category. Two have an official opt-out and do not have to adopt the euro while the other seven are legally obliged to join but haven’t yet. The two countries that have opted out are Denmark (which uses the Danish krone) and the United Kingdom (which uses the Pound sterling). The seven countries obliged to join are: Bulgaria, Croatia, Czech Republic, Hungary, Poland, Romania, and Sweden. Both the UK and Denmark secured opt-outs as part of the 1992 Maastricht Treaty (which created the EU and the euro). Though the population of Denmark started to support adoption of the euro in polls, this changed rapidly in 2010 following the sovereign debt crisis and the switch to the euro does not look like it will happen anytime soon. It’s not overly surprising that the UK does not use the euro, as the island country has always remained somewhat separate from the continent (and not just by water). Though some parties and politicians argue for adoption, the ruling Conservatives do not and neither does the majority of the populace. The fact that the Pound sterling is a major currency worldwide is a further reason adoption of the euro is not seen as a pressing concern. Most of the other EU countries that do not use the euro are in the process of getting approval. They must first join the ERM II (the European Exchange Rate Mechanism) and meet other financial criteria. The countries are in various stages of negotiation, but concrete dates generally are up in the air. Croatia, for example, has set a date of 2019 as the earliest likely time for adoption of the euro, though further European and domestic economic troubles might delay this. Poland meanwhile, still sees relatively mixed support at home for adoption of the euro anytime soon. The interesting case here is Sweden (which uses the Swedish krona). Though they are obliged to join the eurozone, they have argued that joining the ERM II is voluntary. As such, the Swedish government has generally left the process to the mercy of a public referendum. Though previous polls were close in favour of keeping the krona, public opinion has largely turned even further against adopting the euro in accordance with recent troubles. For the EU’s part, they have stated that it is up to the Swedish people, despite the fact that the country is technically required to adopt to euro according to the EU’s own laws. The point of this all is so the next time you travel to Europe, you know what you need and where you need it! While the euro makes foreign exchange in Europe much easier, it is not the end all be all. Countries such as Croatia, Sweden, the UK, Switzerland, and many others are all worth a visit, but will require a different currency. The prevalence of the euro will likely change in the future (albeit slowly) so keep checking the news coming out of Europe. 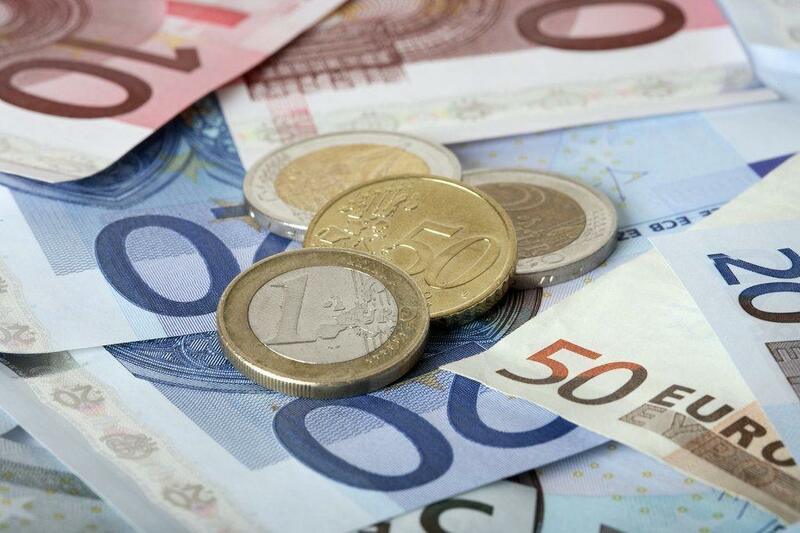 No matter what currency you need however, Continental Currency Exchange is here to help you whether you’re traveling within the eurozone or to any number of the countries that do not use the euro. For more information about the eurozone and the recent crisis, check out our comprehensive guide. 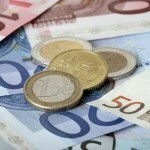 For information about the euro in general check out our Currency Spotlight. You can find information about traveling to various countries (European and other) here. Visit continentalcurrency.ca to find your nearest branch today. Don’t forget to ask about our Privilege or VIP cards for even better exchange rates and no service charge.